Countertops are one of the most visual elements of your kitchen. When your countertops have problems, these can affect the entire aesthetic of your kitchen — and the overall beauty of your Tidewater home. Whether you are getting ready to list your home for sale or simply want to make your countertops more aesthetically pleasing and functional, why replace them when you can upgrade them with resurfacing? 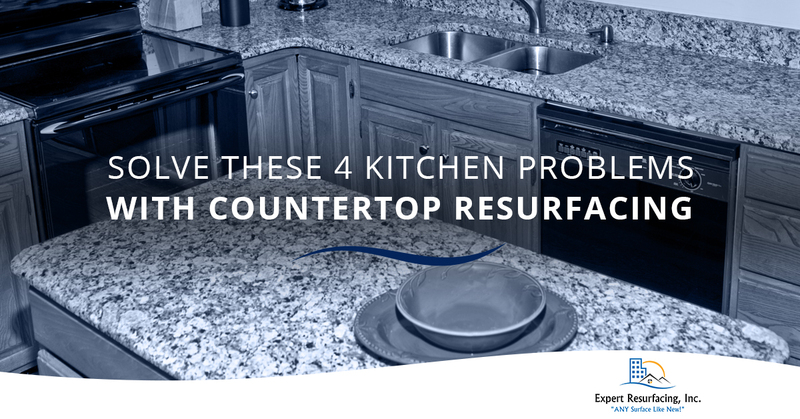 Today, let’s look at the most common problems shoddy, outdated kitchen countertops can cause, and how an expert countertop resurfacing can solve these problems. Then, visit Expert Resurfacing in Tidewater or give us a call to learn more about our resurfacing services and to request a free estimate for resurfacing. Problem: Poor Functionality. Have you found that your countertop layout doesn’t really suit your needs? Maybe your family has grown since you moved into your house and the countertops don’t provide you with enough space to prep and cook larger meals. Or maybe the actual layout makes it difficult for you to use the nearby spaces in your dining room and/or laundry room. Or maybe you want to upgrade your appliances but your selection is limited because of your countertops. Solution: No matter the functionality issue, a countertop resurfacing can transform your kitchen space into a functional area that fits your lifestyle. We can re-work your existing countertops to fit your needs without having to create a huge mess from a demolition and replacement. We can even work with your existing layout to create one that is stunning and unique. Problem: Drab or Dated Color. Does your mid-century modern home still have a color-scheme reminiscent of the days of old? Are your snow white countertops full of stains and wear-and-tear from use over the years? Or maybe those turquoise countertops that were once popular in the 70s and 80s have finally gotten to you. Solution: Regardless of what color your countertops are, a countertop resurfacing is the ideal way to enhance the appearance of your entire kitchen without breaking the bank. With hundreds of colors to choose from, the possibilities are endless. Our resurfacing team will work with you to determine the perfect countertop color that reflects your style and pairs nicely with either existing kitchen features or new kitchen upgrades. Solution: Call Expert Resurfacing to reglaze your countertops using expert, precise craftsmanship and only the best materials. Countertop resurfacing is the optimal way to enhance the style of your kitchen without the cost of completely remodeling your kitchen. We will work with you to find the right countertop style, helping you choose from different materials to create everything from sleek and modern to rustic and refined styles. If you want the look and feel of a stone or granite kitchen countertop at a fraction of the price of replacing and installing new countertops, you can get the look of luxury with resurfacing. Problem: Stained, Hard-to-Clean Tile Grout. Are your tiled kitchen countertops looking dull and dingy as a result of your old, stained grout? Do you once spotless white granite tiles look brown and unkempt because of your grout? Are the pores of your grout caked with spills or sprouting mildew from years of spills? Grout can be a real pain to clean and maintain. Dirty grout can even make pristine tiles look old, dirty, and outdated. Solution: Tile resurfacing is an effective, affordable way to enhance the look and feel of your not only your countertops but your kitchen as a whole. Countertop refinishing can rejuvenate even the dingiest of tiles and grout without having to completely demolish and install new tiles. Tile resurfacing cost-effective method for eliminating grout stains and discoloration because this approach reseals the grout. Ready For A Countertop Resurfacing? If you’re tired of dealing with these and other problems that are affecting the function, appearance, and overall aesthetic of your kitchen, it’s time to resurface your countertops. 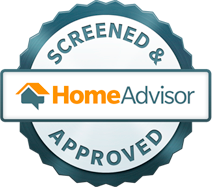 Call Expert Resurfacing today to request a free quote for a Top Rated Local® countertop resurfacing in Tidewater. We’ll transform your countertops and space where they are located using expert skill, top-quality materials, and in the most efficient manner possible. Visit our site or call us today to start your next kitchen countertop resurfacing project!